When approaching the IoT market, enterprises are likely to make mistakes. 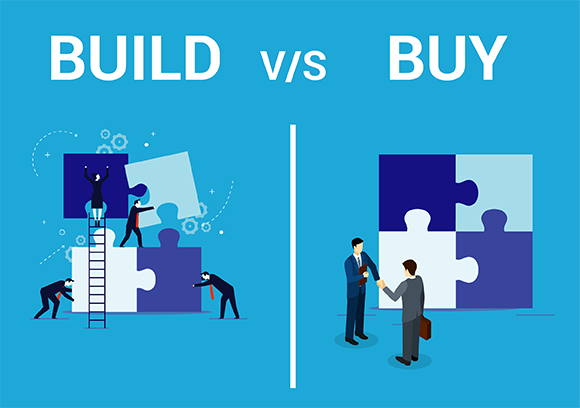 Therefore, we are conducting the webinar wherein we will talk about pro and cons of both building vs buying an IoT platform. The webinar will answer to a lot of questions that you might have related building or building an IoT platform. With a deeper understanding of both approaches and the cost associated with each of them, you will be able to make better decisions. Question 1: How does the edge computing work? Answer 1: First of all, edge computing happens at the edge of the network, meaning at the gateway level before that data is sent to the cloud. It is great in cases when IoT devices have poor connectivity or you want to process latency-sensitive information. Edge computing system also reduces the data traversing the network. Question 2: Do IoT platforms that are available in the market support AMQP and CoAP protocols? Answer 2: This varies from one platform to another. For example, MQTT and HTTP are most common protocols that are supported by most of the platforms, however AMQP and CoAP steadily gaining ground. Question 3: Which one is better to choose - Open Source or Proprietary IoT Platform? Answer 3:There are dozens of companies developing or updating their proprietary IoT platforms, in spite many of them use open source code in their products. One more reason for choosing an open source IoT platform could be the rate of innovation - it is faster thanks to passionate communities of developers. However, on the other hand, a proprietary IoT platform would be packed with great built-in functionality, extensive libraries, APIs and integration options. Question 4: Once I buy an IoT platform, do I need a team of expert to implement it? Answer 4: Yes. It takes many skills to deploy an IoT platform successfully. Depending on the use case, you will have to configure it and run your application.